Christina Gutierrez is a San Antonio native who was happy to return home after completing her education. She received her undergraduate degree from Harvard, then attended medical school at the University of Texas Southwestern Medical School in Dallas. After completing her residency in Ob/Gyn at Baylor College of Medicine, she remained in private practice in Houston before joining Central Women's Health Care in 2003. 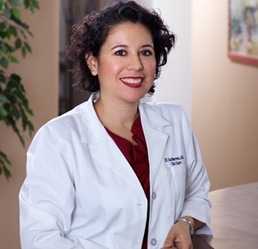 Dr. Gutierrez is a Fellow of the American College of Ob/Gyn and a member of the American Medical Association and the Bexar County Medical Society. She also serves as a physician leader at the Metropolitan Methodist Hospital, having been the Chairman of the Department of Ob/Gyn from 2011-2012 and continuing on to a position on the Medical Executive Board. She is bilingual and has a particular interest in minimally invasive surgery, including use of the DaVinci robot.